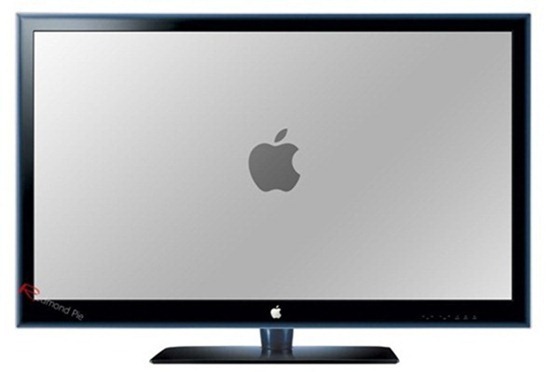 We’ve been hearing rumors and counter-rumors of an Apple television for a couple of years now, but things have really heated up of late. Now Best Buy has waded into the talk of a television with an Apple logo by including such a thing as part of a survey run by the retailer. In the survey, conducted by an outside firm for Best Buy, we are told all about a new television from Apple, and one that takes advantage of both iOS and iCloud to change the way we watch television. With the 42-inch set, Apple "finally reinvents what a TV can do," is spoken of throughout the survey as if it is 100% real, with no mention about the possibility that the people in Cupertino might just be thinking about such a thing. Other features mentioned are the ability to use your iPhone or iPad as a remote control, much the same as we can with the current shipping Apple TV. It’s a feature that we can all-but be sure of making it into any shipping product., so we’ll give Best Buy points for that one. An iSight camera is also mentioned throughout the blurb, though we notice that Apple is currently calling its cameras "FaceTime Cameras" elsewhere, so that may be one big clue that something isn’t quite right here. Most interesting is the supposed price of this Apple television. If Best Buy’s survey is to be believed then we will be handing over $1500 to get our hands on such a thing. With the price of televisions plummeting over the last year or so, that seems slightly high to us. All that is pretty much irrelevant considering this is almost certainly not a sign of what is to come. While we have to give someone at Best Buy an A+ for effort, there is just no way that such a thing would leak via this kind of route. We all want Apple to make a television at some point this year, but this latest rumor doesn’t make us believe it any more than the rest. Check out the full text from Best Buy’s survey here. Download and use apps from the App Store. Can you imagine playing Angry Birds on a big screen in your living room? Supports Apple’s new iCloud service for storing your movies, TV shows, and music content that you’ve purchased from iTunes and beam them to your Apple HDTV. Use your iPad or iPhone as a remote control, and do everything from controlling your TV, to purchasing new shows and swapping content between your Apple devices and the iCloud service. Built-in convenience with built in iSight camera and microphone for Skype. In addition to iTunes, stream content from popular sites such as Netflix, YouTube, and flickr.